Another black outfit? Yep... This time with a little floral dress. 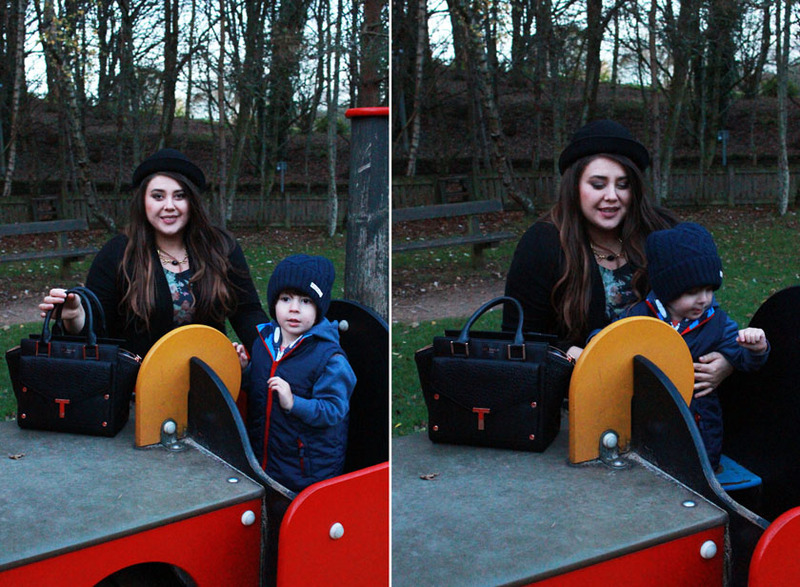 Please excuse the dull, washed out pictures, but we went to the park at 16.00 and it got dark far too quickly. What is that all about? I love Autumn weather, but I just wish we got a little bit more daylight. Anyway... The dress I am wearing is a recent buy from TK Maxx and it was only £7.00. 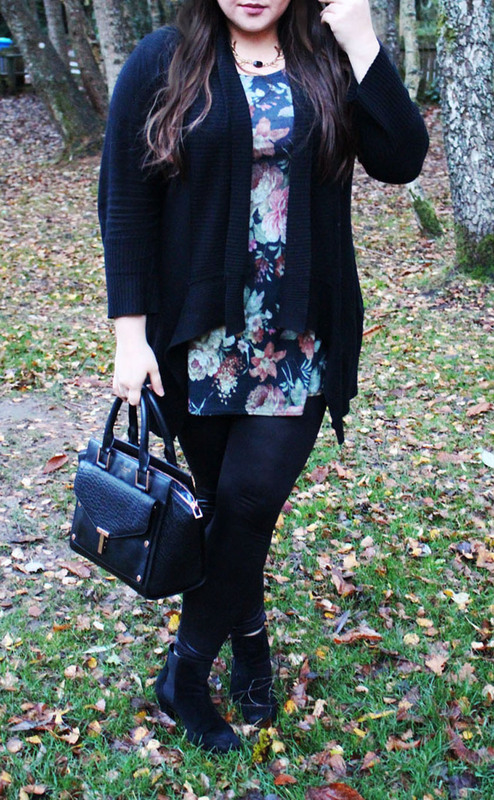 It's not long enough to be worn with tights though, so I am wearing it with New Look Leather Look High Waisted Leggings* and my beloved black waterfall cardigan (also from TK Maxx). I know... I am wearing it again, but I am just being realistic. 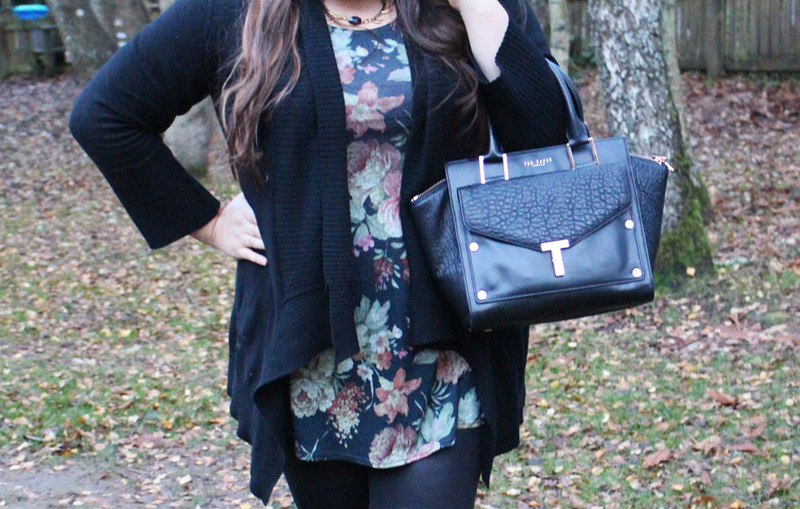 I can't possibly afford to buy new clothes for each outfit post and I share real life outfits that I actually wear. Yes, I wear hats in public, despite chavs looking at me like I am the weird one. I also see bloggers on twitter saying nasty things about hats/people who wear hats. What the actual f....? Seriously? It's just a hat. I say - chillax, buy a hat, you might love it! We are meant to be supportive, not bring each other down! Rant over... Now onto the rest of the outfit. I am literally living in my John Lewis Hope Mid Heel Chelsea Boots. They are very comfortable and go with everything! Perfect! 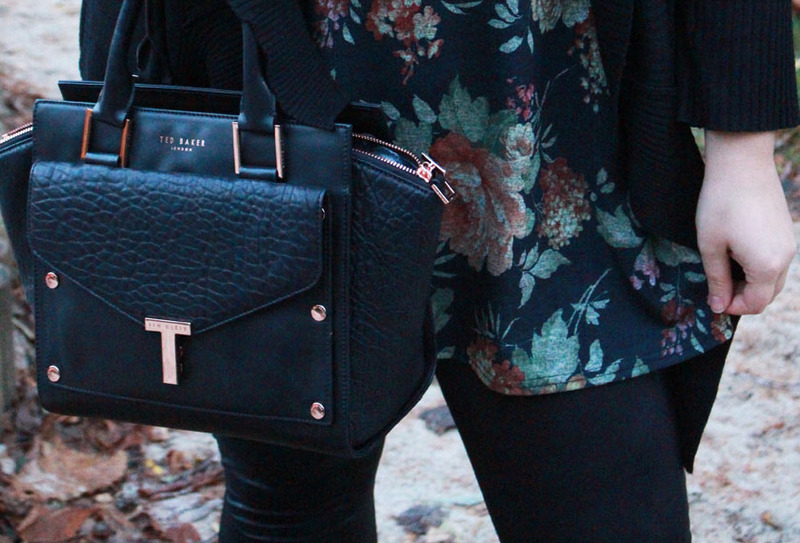 I also can't stop wearing my Ted Baker Layally Bag. It's simply beautiful! The necklace I am wearing is an old Bonbi Forest Antlers Necklace*.